The Bubble Season is Upon Us!!! Seriously – I cannot tell you how much I love all things ‘bubble’! I personally think that any occasion is a bubble occasion and I love that as we enter into the month of December, more people purchase a bottle or 10 of sparkles to add some zing to their holiday celebrations. The history of champagne is fascinating and most believe that the French invented it, specifically the famed Benedictine monk, Dom Pe´rignon. This is simply not true although it has been an amazing marketing campaign!!! I will be writing about the history of champagne in more detail on my fifth week as we have a few bottles and types of sparkling wines to get to first! One thing I would like to say first off is that for a sparkling wine to be called champagne, it MUST be made in the Champagne region of France in a way called ‘me´thode champenoise’. Champagne only uses three grape varietals: Chardonnay, Pinot Noir and Pinot Meunier. 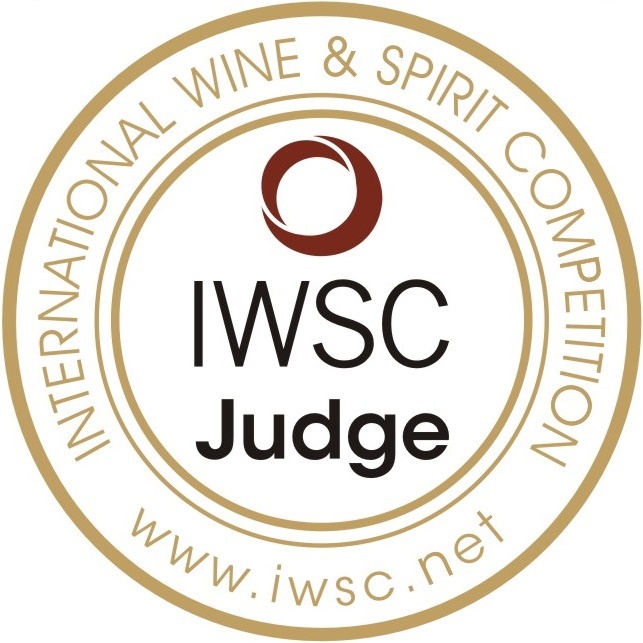 Champagne really is the rock star of the sparkling wine category for good reason. However, the lovely and affordable Spanish cava would be the amazing lead guitarist on stage getting the crowd up on their feet! 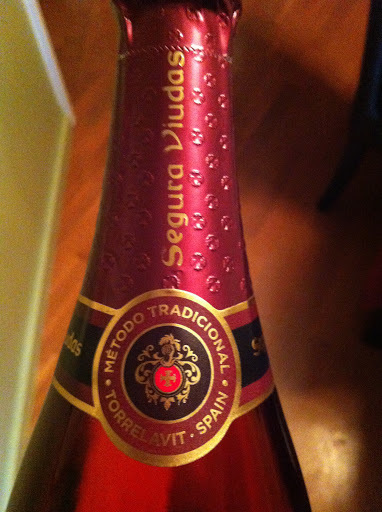 My review this week is on Segura Viudas Brut Rose´. Note the “Me´todo Tradicional” – this tells the buyer that it is made in the champagne style. This pink charmer will turn any ones grey, cold day into one filled with a little sunshine. Cava is, in my opinion, one of the BEST values in the wine market today. The reason? Other than its’ amazing taste, it is made exactly the same way as champagne but uses Spanish varietals. Segura Viudas website When you compare this Rose´’s cost of $15.99 at the B.C. liquor stores to a $65+ bottle of champagne, it tastes even better and you can get a few bottles at this price! Segura Viudas stole my heart about a decade ago. And, the Rose´has stolen it again! This cava is a lovely pink/salmon colour with a glorious amount tiny bubbles that don’t seem to end. On the nose, I smelled strawberries and grapefruit. On the palate, the taste matched what I smelt with the strawberries and grapefruit but had a bit of a toasty overtone that I loved. It was dry with high acidity but light in body with a medium short finish. YUM! This little pink number was truly delightful. My husband and I opened it up on Tuesday night and we decorated our Christmas tree while sharing a glass of pink sparkling cava. I think a new tradition was born! 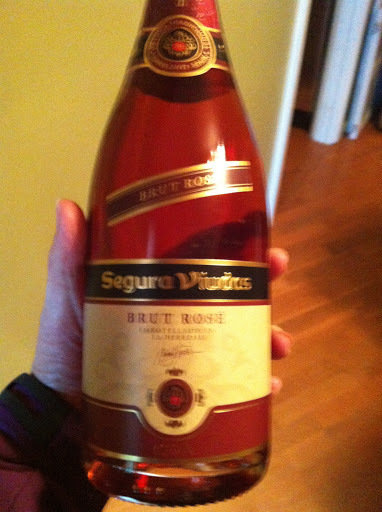 Segura Viudas’s Brut Rose´goes into my ‘Hell Yes’ category. You cannot beat the colour, the uniqueness and the price of this pink glass of love!